The MiniQuad cane tip offers an intermediary cane tip that provides the stability benefits of a quad base in a size comparable to a cane tip. 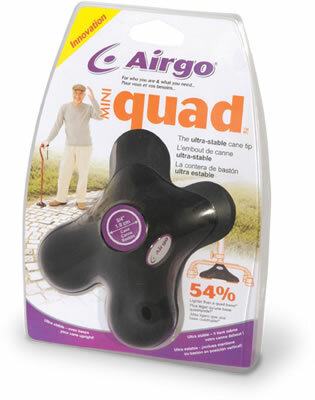 The MiniQuad tip is 54% lighter and 80% more compact than a large base quad. 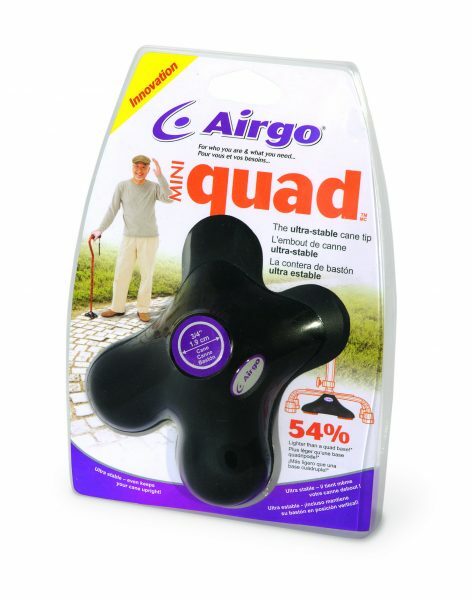 This ultra-stable cane tip even keeps your cane upright!